Original painting is 11 X 14, oil on Canvas. 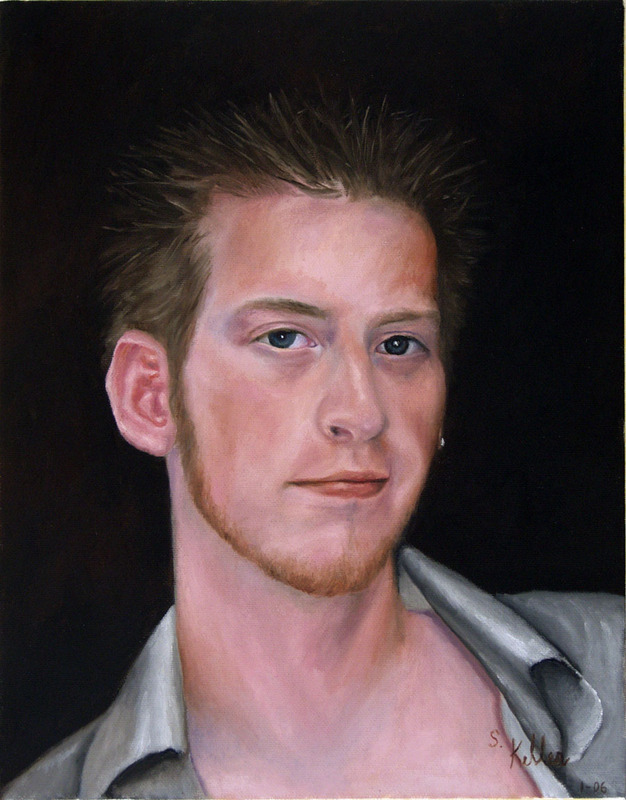 This painting recieved a "Best of Show Award" from the Naperville Art League, February 2006. It also received a "Special Recognition Award" in the 12th Annual Faces Juried Online International Art Exhibition hosted by Upstream People Gallery. This painting is provided as an example only,Matted Giclee limited edition prints are not available. For price estimates on commissioned work of your own please see "Commissions" page.